As a military wife, I have seen firsthand the sacrifices that the men and women of the military have to make. There are frequent moves, time away from family, long hours, less than ideal sleeping conditions and missing of milestones... to name a few. But they do so willingly so that we can all have those freedoms that we so enjoy. And most of them do it without complaining too! Who doesn't appreciate a delicious sweet treat? Now, you can send these in a care package of course (be certain to wrap and package VERY well), but generally speaking, you actually don't have to go that far! Instead, consider dropping them by your local recruiter's office! As a recruiter's wife, I can tell you that these are some of the hardest working men and women in the service, and they deserve an extra special treat! Not a baker? Something from the local bakery says thank you just as well! Now, I know that this isn't an option that we can all do, but if you can, it's certainly something to consider! Volunteer with your local military organizations, visit wounded warriors in the hospital, or use any talents you might have to help in any way needed- mow the lawn or rake the leaves for the new mom whose husband is deployed, etc. 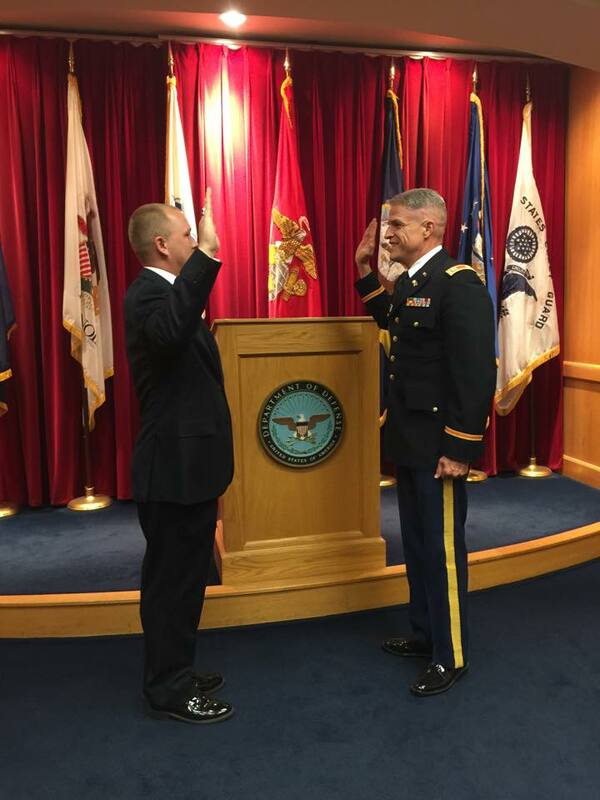 Most of you probably are pretty familiar with the military haircut. Super short, super clean cut. Did you know to keep that look most military men have to have their hair cut each and every week! They may look super handsome, but it can certainly make a dent on the bank account! A haircut to say thank you for your service just makes sense! 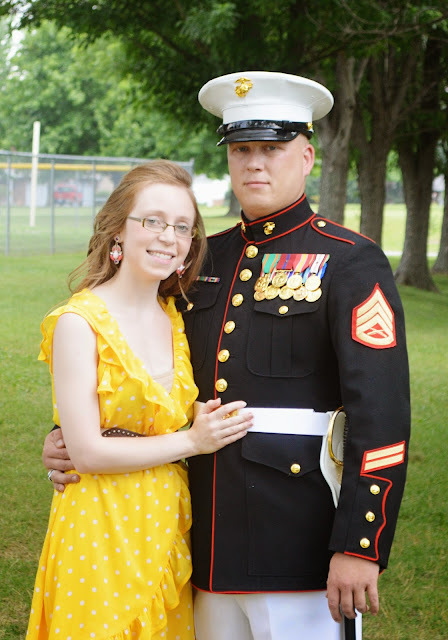 And with Great Clips' Veterans Day promotion, it couldn't be easier to make that happen! It's as easy as getting a haircut yourself! For the third year, Great Clips is giving you the chance to gift a free haircut when you get a haircut yourself! 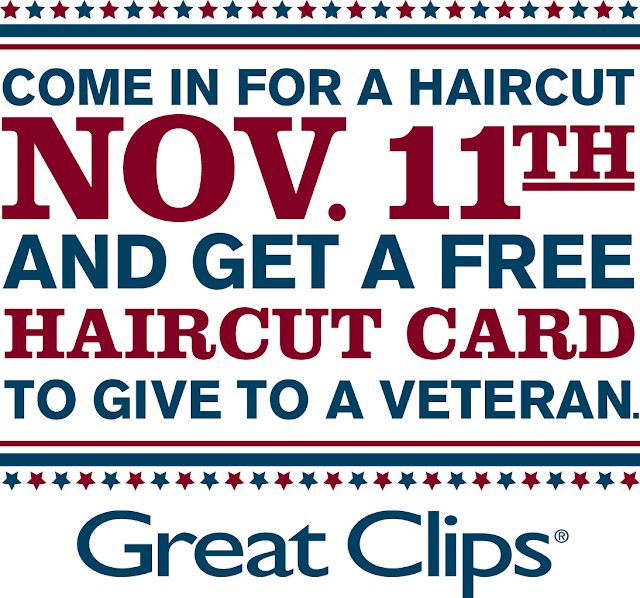 Visit any Great Clips on November 11 for a haircut and you'll receive a FREE HAIRCUT CARD to give to a veteran of your choice! (Card is for use by veterans and active duty military members only. Family members do not qualify.) 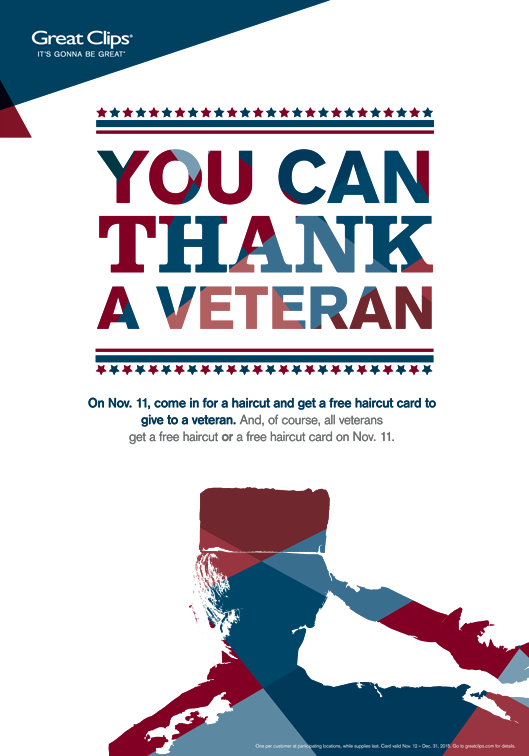 Every active or retired military member that goes in on November 11 will get a free haircut (or haircut card) as well! Great Clips is the only major salon brand that offers customers such a way to thank a veteran and I for one think its pretty genius! You can learn more about this amazing promotion here. Thank the veterans in your life and visit your local Great Clips on November 11th to redeem a free haircut card to share with a veteran of choice! Visit this link to find a location near you! Will you be visiting Great Clips on November 11? Who will you be gifting the free haircut to? What others ways do you thank the veterans in your life? This is a really great promotion, thanks for informing me about it. These are amazing ideas!! We should really all be so thankful for the sacrifice our veterans and their families are making for us!! Big Kudos to Great Clips for making it so easy! !